 The Athens County Transportation Improvement District (ACTID) is a governmental entity created by the Athens County Board of County Commissioners. The ACTID possesses general powers to operate and fund highway-related projects with the purpose to improve the transportation system in Athens County. The purpose of the ACTID is to improve the transportation system in Athens County in order to contribute to the creation or preservation of jobs or employment opportunities or the improvement of economic welfare of the people within the area of the ACTID and to all the State, recognizing that it is in the public interest and a proper public purpose for the ACTID to acquire, construct, enlarge, improve, equip, sell, lease, lease‐purchase, exchange, or otherwise dispose of property, structures, and other facilities for such projects undertaken by the ACTID in accordance with its exercise of the authority granted by Sections 5540.01 to 5540.17 of the Ohio Revised Code. Moreover, the exercise of this authority by the ACTID is consistent with and will promote industry, commerce, distribution and research activity in the area of the ACTID and State, consistent with the statement of public purpose set forth in Section 5540.16 of the Ohio Revised Code, and is necessary for the prosperity, health, safety and welfare of the State and its people. The ACTID will provide the local partnering and support structure to coordinate federal, state and local resources for the aforementioned purposes. The next regular scheduled meeting is May 15th, 2017.